1989: Use plastic bags and save a tree. 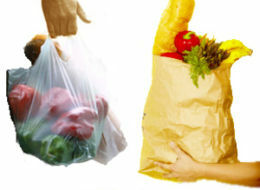 2009: Use plastic bags and contaminate a landfill. I hate plastic bags for groceries!